Ah, the art of composing a tweet. There were many times when I had to re-compose my train of thoughts on a tweet to make sure I was adhering to the 140-characters limit. It was an art, but at times can be frustrating because you had to resolve to shortening words like “you” to a “u”, “and” to an “&”, and so on. In recent announcements, we had better and better solutions from Twitter by removing character counts from URLs, or posting media attachments and tagging mentions, or replying someone else’s tweet. 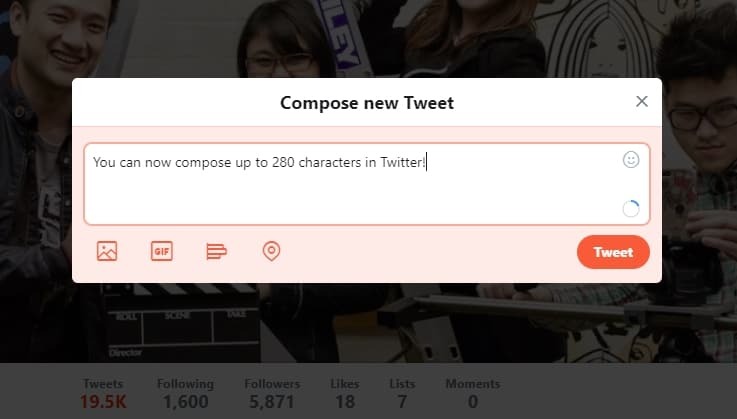 But today, Twitter has announced officially that we all can now blabber tweet for a maximum of 280 characters! Of course, making this change does not just come right out of the bat, but Twitter had properly researched and tested this beforehand. The feature was announced back in September and it looks like the feedback was good and the change is a go. If you go to Twitter.com and try to compose, you can now see a circle on the bottom right of the Tweet window that gets updated as you type your tweet. You can keep on typing until the circle is full (which means you’ve hit the limit). I’d prefer to see the number of characters left like before (and most people seem to have the same opinion), but personally, I don’t mind it. 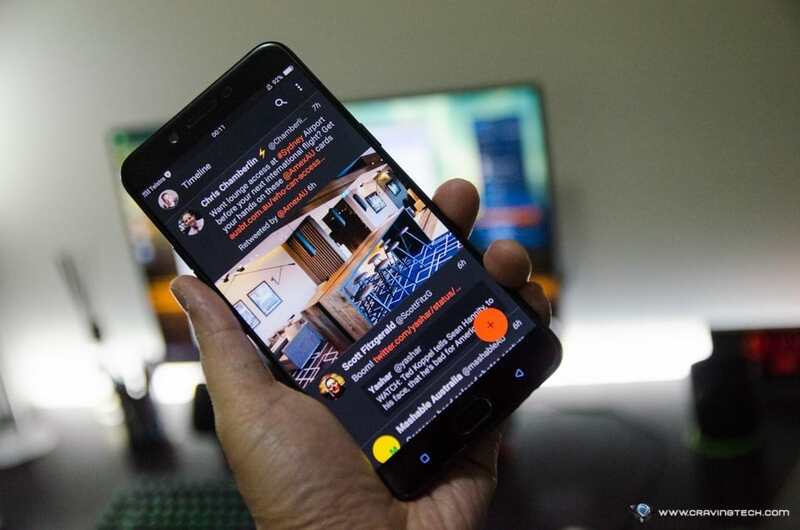 It has definitely made my life much easier because I can now compose tweets naturally to convey any latest tech news or opinions without having to split them into different tweets, or shortening words like crazy. Companies’ support teams who normally have to split a support reply into 2-3 tweets should also breathe easier now. TweetDeck has also updated their online version (refresh if you can’t see the change), with apps such as Tweetbot and Twitterrific will have an update on the next version.